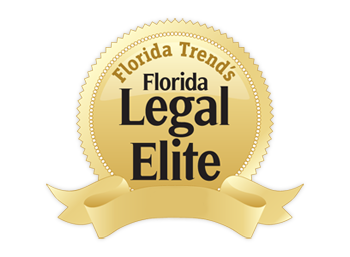 Our last Florida update relates to changes to Florida’s probate and trust code. The following summary has been written by Sean Lebowitz of our office. On April 14, 2011 and April 29, 2011, the Florida legislature enacted several significant changes to the probate and trust code (hereinafter referred to as “legislation”). The bill was signed by the Governor on June 21, 2011. Some of the key sections of the legislation became effective on July 1, 2011 and others will become effective on October 1, 2011. 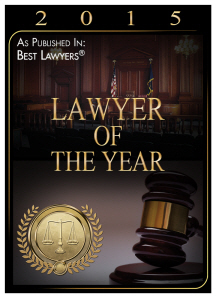 In essence, the legislation creates or substantially modifies the following subject matters: I) Intestate succession; II) Reformation of a will; III) Challenges to revocation of a will and trust; IV) Attorney-client privilege relating to fiduciaries; and V) Timing for requesting attorney’s fees in a trust matter. 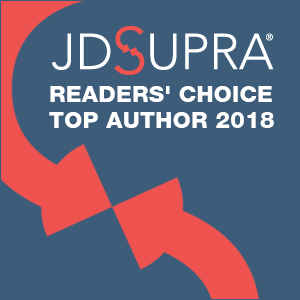 The author urges probate and trust litigators to review the entire legislation because it contains nuances not fully addressed in this article. When a decedent dies without a will, the assets are distributed according to the laws of intestacy. 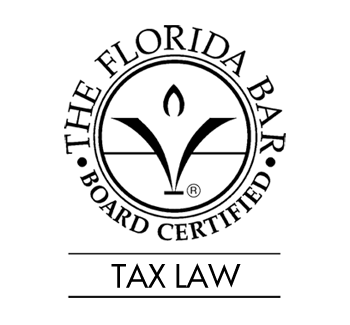 Currently, the intestate share of a surviving spouse where all of the decedent’s descendants are also descendants of the surviving spouse is the first $60,000.00 and half of the remaining estate. Effective October 1, 2011, the legislation amends Florida Statute § 732.102(2) so that the intestate share of a surviving spouse of a decedent where all of the decedent’s descendants are also descendants of the surviving spouse (or if there are no descendants) is the entire estate. The legislation also creates Florida Statute § 732.102(4) to provide that if the surviving spouse has descendants that are also the decedent’s descendants and has descendants not related to the decedent, the surviving spouse’s intestate share is half of the estate. Reformation of a testamentary document is an effective, yet often times overlooked, probate litigator’s technique to reform a document to conform to the settlor’s intent. 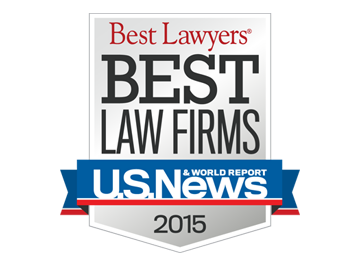 Since 1998, Florida case law permitted reformation of a trust instrument to correct a mistake. See In re Estate of Robinson, 720 So. 2d 540 (Fla. 4th DCA 1998). In 2007, the Florida legislature codified and expanded common law to permit reformation to correct a trust to cure a mistake as well as reformation of a trust to achieve a settlor’s tax objectives. See Fla. Stats. §§ 736.0415 and 736.0416. 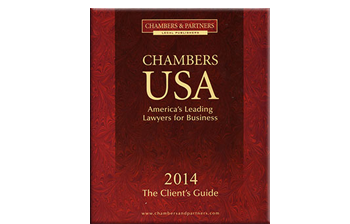 Effective July 1, 2011, the legislation created Florida Statutes §§ 732.615 and 732.616. These statutes mirror the above-referenced trust code statutes to permit reformation of a will to correct a mistake and to modify a will to achieve a testator’s tax objectives. 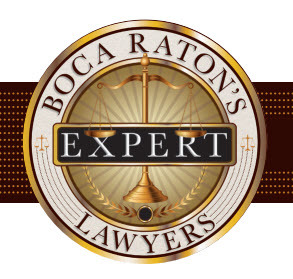 The mistake statute, Florida Statute § 732.615, allows an interested person to seek reformation of the terms of a will to conform to the testator’s intent, and provides a burden of proof of clear and convincing evidence. The statute even permits reformation that is completely inconsistent with the apparent terms of the will. The tax modification statute, Florida Statute § 732.616, permits an interested person to seek reformation of the terms of a will to achieve a testator’s tax objectives in a manner that is not contrary to the testator’s “probable intent.” These statutes are significant because reformation of an unambiguous will was previously never permitted by case law or statute. In addition, the legislation creates Florida Statute § 732.1061 which requires that in actions under reformation of a will to correct a mistake and modification of a will to achieve tax objectives, the court must award attorney’s fees and costs to the prevailing party. Nonetheless, the statute also gives the court discretion in awarding and allocating fees using the concept of equity. Florida law provides that a will or trust is void if procured by fraud, duress, mistake or undue influence. 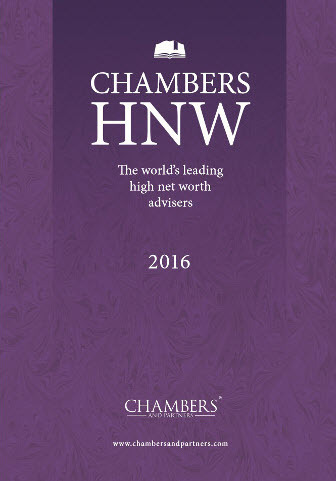 A testator or settlor may revoke a will or trust by writing or act. Until the legislation, there was no mechanism to challenge a revocation of a will or trust by physical act based upon fraud, duress, mistake or undue influence. The legislation amends Florida Statutes §§ 732.5165 and 736.0406 to provide that revocation of a will or trust is void if procured by undue influence, fraud, duress or mistake. A challenge to the revocation of a testamentary document cannot take place until the instrument becomes irrevocable or at the settlor’s demise. Florida law provides that communication between an attorney and the client is confidential if it is not intended to be disclosed to third parties. The legislation clarifies and expands existing law so that communication between a fiduciary client and the attorney is confidential and privileged. See Fla. Stat. § 90.5021. The legislation also amends Florida Statutes §§ 733.212(2)(b) and 736.0813 which create new reporting requirements for personal representatives and trustees. The reporting requirement compels personal representatives and trustees to provide notice to the beneficiaries that an attorney-client privilege exists between the fiduciary and the attorney employed by the fiduciary. See Fla. Stats. §§ 733.212(2)(b) and 736.0813. 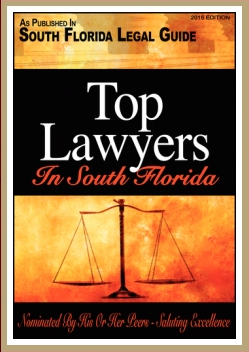 The Florida Trust Code provides that trust proceedings are governed by the Florida Rules of Civil Procedure. In civil litigation, Florida Rule of Civil Procedure 1.525 is commonly used which requires a party to serve a motion seeking fees or costs within 30 days after the filing of a judgment. By amending Florida Statute § 736.0201(1), the legislation clarifies and confirms that Florida Rule of Civil Procedure 1.525 applies to all judicial proceedings concerning trusts. 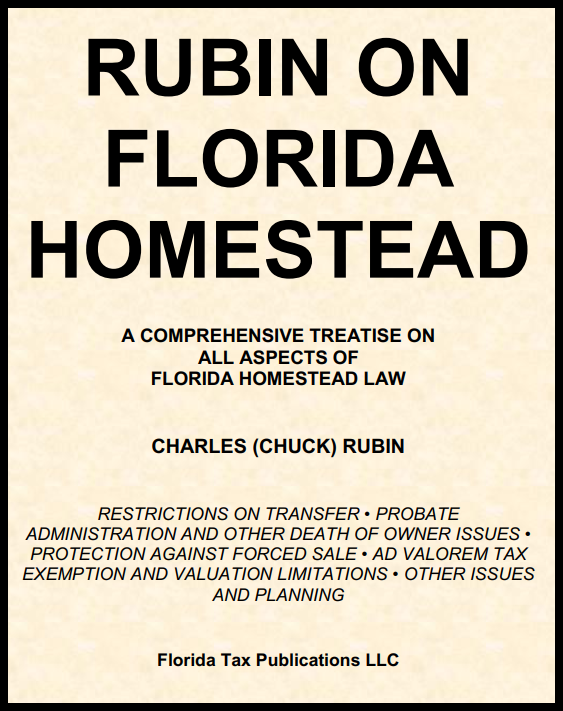 Article X, section 4(c), of the Florida Constitution provides that “[t]he homestead shall not be subject to devise if the owner is survived by spouse or minor child.” What happens if a Florida resident acquires property while he has a minor child and lives in it as his primary residence – but instead of acquiring property in his own name he acquires it as joint tenant with rights of survivorship with a third party, and then dies? Option One – the property is not the decedent’s homestead, and it passes entirely at his death to the other joint tenant. Option Two – the property is the decedent’s homestead, and his interest in the property does not pass to the joint tenant as an invalid devise under the foregoing Constitution provision. These were the facts in Marger v. De Rosa, wherein the administrator ad litem for the estate of Mr. Marger asserted Option Two – that is, the homestead nature of the property trumped the JTWRS status of ownership. Since the property was not homestead property at the time of the joint purchase, the homestead restriction was determined not to apply. In the previous posting on June 23, 2011, we discussed the use of charitable lid/defined value clause planning, and how it had recently been upheld in by the Tax Court in Hendrix. Such planning has now successfully weathered another attack – this time in the 9th Circuit Court of Appeals in Petter. This time, the IRS dropped its public policy objections and focused on denial of the gift tax charitable deduction for additional amounts passing to charity by reason of a revaluation of gifted or sold property under regulations prohibiting a condition precedent to a deductible charitable gift. In Petter, the taxpayer transferred UPS stock to a family LLC. She then gifted LLC units to two trusts and a charitable organization. The gift was accomplished via a transfer of a fixed number of LLC units. A formula was employed to allocate the transferred units between the two trusts and the charitable organization. The amount allocable to the trusts was intended to equal the value of the taxpayer's unused unified tax exemption. More specifically, the allocation clause allocated to each trust a portion of the LLC units equal to "one-half the [maximum] dollar amount that can pass free of federal gift tax by reason of Transferor's applicable exclusion amount allowed by Code Section 2010(c). Transferor currently understands her unused applicable exclusion amount to be $907,820, so that the amount of this gift should be $453,910." To the extent the value of the transferred LLC units exceeded this allocation to the trusts, such remaining LLC units from the transfer were allocated to the charitable organization. The transfer documents also provided that if the value of the units was finally determined for federal gift tax purposes to be different than as originally computed, the trusts and charitable organization would reallocate those units amongst themselves in accordance with that final determination. Subsequent to the gift, a sale of additional LLC units to the two trusts was undertaken on an installment basis. The sold units were allocated to the two trusts and another charitable organization in a similar manner. The LLC interests were eventually revalued higher than the value used on the Form 709. This triggered additional units passing to the charitable organizations. Generally, gifts to charities are not subject to gift tax pursuant to the gift tax charitable deduction under Code Section 2522(a). However, no charitable deduction is allowed "[i]f, as of the date of the gift, a transfer for charitable purposes is dependent upon the performance of some act or of the happening of a precedent event in order that [the transfer] might become effective" (emphasis added). Treas. Reg. Section 25.2522(c)-3(b)(1). The IRS argued that the transfer of the additional LLC units to the charities is subject to a condition precedent within the meaning of that regulation. The condition precedent is the IRS audit that ultimately determines that the reported value of the LLC units is too low and triggers the additional transfer. The IRS further bolstered its argument by citing Code Section 2001(f)(2). That provision provides that a value as finally determined for gift tax purposes means the value shown on the taxpayer's return unless the IRS audits and challenges the value. The IRS thus argued that under the taxpayer's formula, the value, and thus the amount passing to charity, was fixed by the value reported on the gift tax return. Any IRS action to change that value was a subsequent action, and thus a necessary precedent event, to increase what passes to the charity - thus that increase would be a prohibited precedent event to the transfer at the time of the gift. The appellate court found that there was no condition precedent - the Taxpayer's transfers became effective immediately upon the execution of the transfer documents and delivery of the units. The only post-transfer open question was the value of the units transferred, not the transfers themselves. The court stated the "clauses merely enforce the foundations' rights to receive a pre-defined number of units...Thus, the IRS's determination...in no way grants the foundations rights to receive additional units." Similarly, the court noted "that value was a constant, which means that both before and after the IRS audit, the foundations were entitled to receive the same number of units. Absent the audit, the foundations may never have received all the units they were entitled to, but that does not mean that part of the Taxpayer's transfer was dependent upon an IRS audit." If the charities did not agree with the reported value, they could have brought suit to determine the proper value applying the gift tax definition and thus did not need an IRS audit to get all they needed (although the court notes this was unlikely to occur). The appellate court overcame the IRS' argument that Code Section 2001(f)(2) set the value as finally determined for gift tax purposes at the returned value, by noting that Code Section 2001(f)(2) applies to set the value as finally determined for purposes of gift only for purposes of applying Code Section 2001(f)(1) which relates to determination of values only after the period for assessment of tax has expired. Code Section 2001(f)(2) does not apply to set that value for other Chapter 12 gift tax purposes. The decision is important for several reasons. It applies a well-reasoned and supported appellate court defeat to the IRS' condition precedent argument. Also, it may signal IRS surrender on the public policy arguments it has been asserting, per its withdrawal of those arguments from the appeal issues. Lastly, another Circuit Court of Appeal is voicing its approval of the formula clauses. The appellate court invites the IRS to seek a change in the law if it is troubled by these clauses. One hopes that Capital Hill would resist such changes. While the clauses can be subject to abuse, for the majority of taxpayers they provide a mechanism to allow them to make full use of available transfer tax exemptions without being subject to the risk of taxes arising from challenges to a good faith valuation.